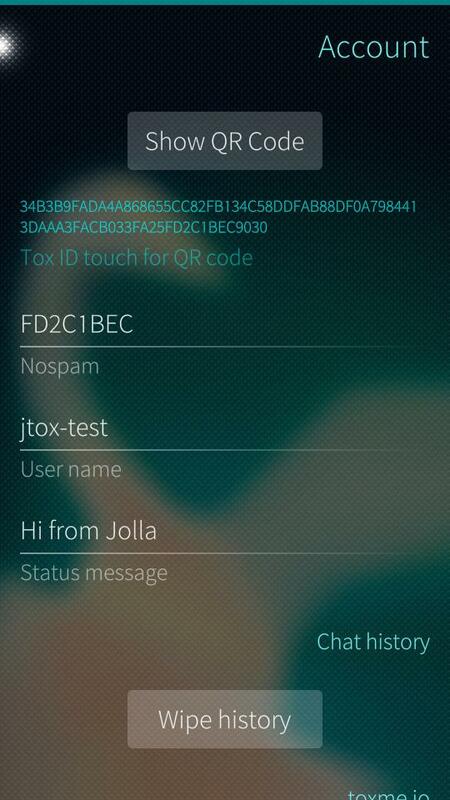 jTox is a native Jolla/Sailfish OS instant messaging client implementing the Tox protocol. JTox is decentralized and encrypted and does not require central servers. JTox is great - thanks a lot ! Are you still working on a project ? Mostly maintenance mode atm. I do want to get audio/video working at some point tho. Great news. Do you think it might be possible to reduce battery use in the future ? I have read they are working on it in toxcore. What about loginning into existsing toxme.io account? What do you mean by that? You can always re-register the same account at toxme from jTox. Do you plan to make audio and video calls? Eventually yes. It's on the roadmap just not sure how hard it's going to be. Main thing is adding the requirement libraries to the static build (unless they are part of Sailfish acceptable libs but I highly doubt that). After that is a lot of fiddling to make sure the hw works ok with it. Thank yuu for this update ! Thank yuu for this update ! 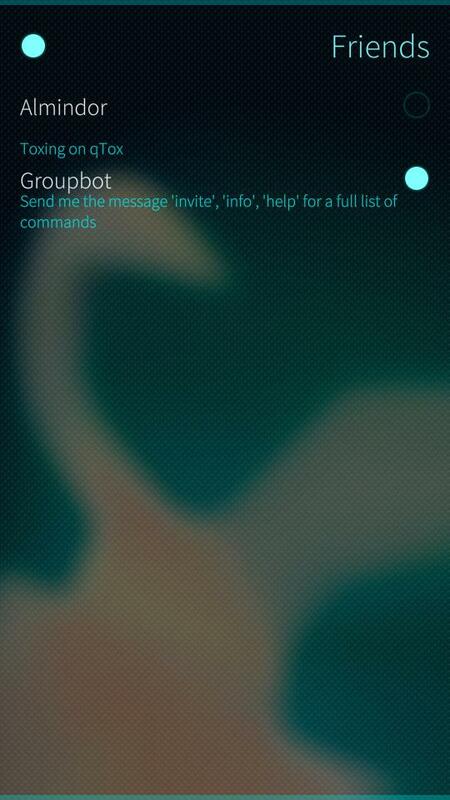 Looking forward to see file transfer and video/audio calls implemented. I'll probably stick with jTox, it's short, memorable and contains "tox" so people find it easy. Thanks for this update! I have a feature request: multiline! i.e. when you are writing a message longer than one line, the message must continue on the next line, but now it is on the same line... and it is more difficult to read in full. Good point. If you think of anything else please make an issue on github. Helps me not forget and organize things. Thanks ! This solved the import issue. Same here, can't import, even if movinf file to the needed directory, the format seems to be incompatible. It's good to see another client. However, I would also suggest to merge with cyanide. So far I can not import tox account from utox or cyanide.